This is the fastest growing and the latest plan in MLM industry. We are the FIRST software developing company in INDIA to implement Money Order MLM software. Money order is widely used, easy to obtain, and generally considered to be a more secure alternative to checks. It is used as payment documents issued for a pre-specified amount of money. Now, in this MLM plan we use money order for payment. How does Money Order MLM Plan works? In Money Order MLM plan members register themselves by sending money orders to all the members above them at their corresponding addresses and to the admins. All the money orders can be tracked in real time. The first 2 addresses are of Admin, who will take care of website and other maintenance which includes your website Hosting and administrative cost. Rest of the addresses are the member's address, who joined by investing a stipulated amount. Members join using the referral links that the software will generate for you. New members registering in using the money orders. Also, if the existing members want to increase their level they pay the members above them and the admins via PIN or money order. In this plan the height is limited and the width is unlimited. Thus, once you become the member, your PROFIT has a very wide scope. What makes us different from others MLM software providers? The best feature we provide in our software is Real Time updates of the PNR status. You get an instant LIVE details of all the PNRs that you are going to receive from your members. Thus, you do not have to move to different sites and keep check on the money orders issued for you by your downline members. You can check all the information from the single panel. This simple feature will save lot of your precious time and efforts. Live PNR Status is something unique we provide in our software. You can track all the money orders issued for you by your members. You can get various PNR status like Booked, Received, Transmitted to Post Office, Received at Post Office, Printed at Paying Office and Paid. It will also give details of date and time. You can also get the post office details where the Money Order was issued and finally where it is received. This a formal welcome letter from the company running the MLM money order plan. It has all the details of the member, sponsor details, member joining date and the total amount the member paid to register. It will display all the details of the member. Member can edit any details he wants. For editing the member details and also, to view the PIN transactions, we have provided a security code which is the transaction password.The details that are displayed are sponsor details, bank details, personal details, nominee details, login credentials, address details etc. Here the member can change their login password. This option is kept separately for the ease of the user. Member can change their transaction password from this interface. The transaction password is different from the login password. You can send emails to your friends, colleagues etc. asking them to become member under you in Money Order Plan. The existing member just needs to add the email address of their potential members and the software will send email to them with the member referral link. Thus, whenever a client on that link, the page will display the sponsor link through which it got referred. Member can put as many email addresses to send the referral link separating them by comma. Here you get all the details about the PIN. Member can view the PINs allotted to him by the admin. He can also, request for a PIN to the admin from this interface. Member can view the requests of the PIN made by other members. He can transfer the PIN to other members and also, get report for the same. This section also, gives him the details of the PINs used by him already. A member can send a direct message to the admin in this section. If the admin is not available or his phone is not reachable, member can get connected to him via this message service. All the messages sent to that member will be displayed in message center area. The member can also, get the conversation printed for the record. This report will display the all the members registered under that member and also their levels. This report will help member count his profit and think on the further investment. This reports gives details of all the PNRs of the money orders that member is going to receive. This report gives LIVE details of the PNR status. So, the member does not need go to the post office for the payment verification. This feature is very UNIQUE and provided ONLY by us. It gives details of Date and Time, the Office from where the PNR was raised and also its status. This gives details of the members below and their positions. It shows the levels of all the members in the down line. This helps the member to calculate his profits and make a strategic planning. Thus, raise money order to push his level, if required. It displays the list of all the members directly under that member and their details. Admin can generate PIN for its members and distribute it. He can also keep track of all the PINs generated and distributed. He can also view the details of the PINs distributed by one member to other. 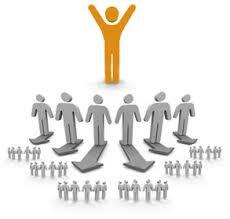 Member Master will give details of all the members registered under the Money Order MLM Plan. It shows the status of the members as active or inactive. Admin can pull the information as how many members are active and disable login or members whose payment is pending or nor received from this panel. Admin can send message to any of the member from his admin area. He can view all the messages sent to him by his members. Also, there a SMS facility available. You get all the details of the members joined under your company. You get their joining date, their investment. Thus, you can get details of the members who are more active and you can encourage them to invest and make more money. Password report will help you to access the password of all the members and help the members to recover their password in case if they have lost it. This member downline report will give information of all the members below you. Also, you can get a tree report which will give you details of the whole structure of your company and all its members. You can track anyone and everyone with this report. This makes your analysis very easy. Thus, you can keep growing with this Money Order Plan. For knowing the whole plan in detail you can visit: Money Order MLM Plan HAPPY MONEY MAKING!